Quickly identify process improvements that make a real impact. During your discovery workshops you’ll generate lots of ideas, you’ll identify bottlenecks and workarounds. These are captured, as you go, directly into Skore in the context of the business process. As you capture processes in Skore you can see instant insights that tell you how complex they are, where the gaps are, how roles are utilised and whether you have the right people in the right places. 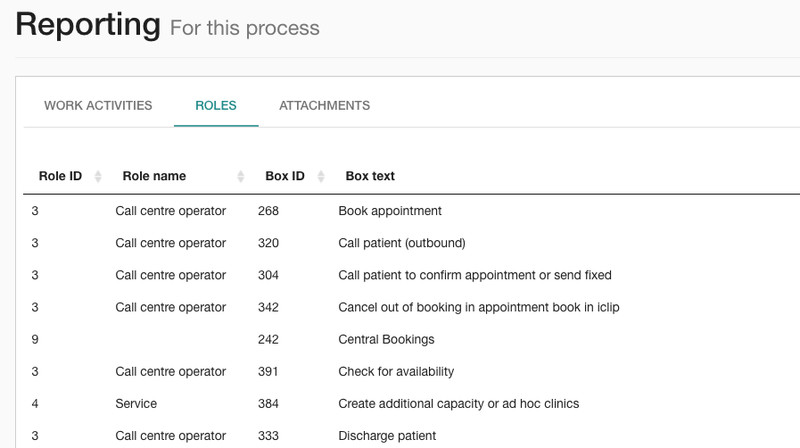 The built in reporting lets you look at the activities, roles and attachments from different perspectives. Focus on the work, the people, the systems or any predefined data you have used in the model. Reports can be exported for use in your favourite visual analytics tool. 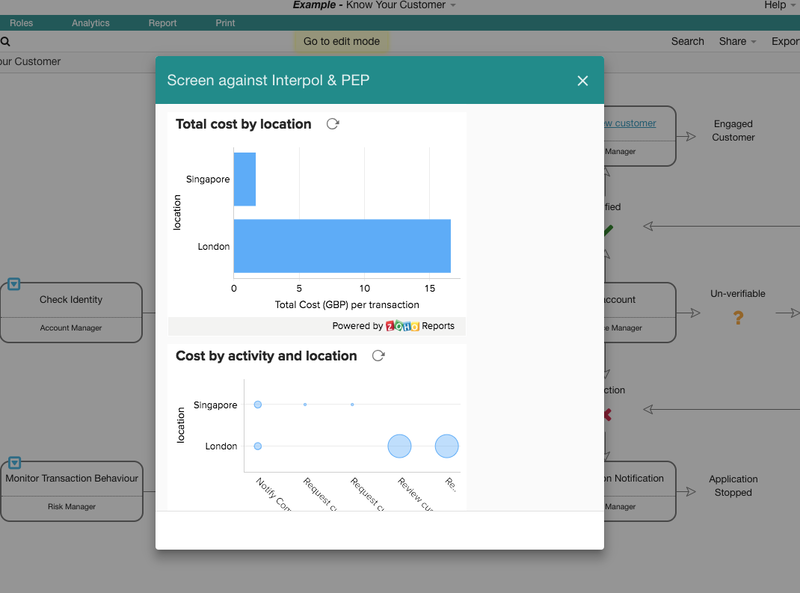 Our API means you can connect your favourite BI tool directly to Skore and see the impact of changes to your business operating model. Perfect for running what-if scenarios in real time.